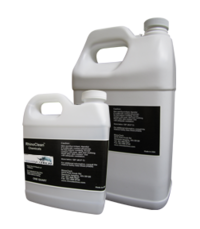 Emulsion hardeners are solutions that chemically strengthen the stencil, making it more resistant to water-based, or discharge inks. They are also sometimes used to create a longer lasting screen ideal for long print runs. 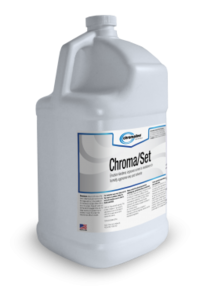 ChromaSet, for use with direct emulsions, capillary films, and direct/indirect films, impacts productivity by keeping presses running during periods of high temperature and humidity or when screens are breaking down prematurely. FOTECHEM 2100 is a ready-to-use chemical hardener which creates permanent, non-reclaimable screens. The stencil also becomes more water resistant due to chemical hardening. However, the durability of the screen can vary with the type of emulsion. EH-A & EH-B is a two-part emulsion hardener kit. This biodegradable emulsion hardener is a non-abrasive emulsion treatment that creates a permanent stencil once applied to the screen. It also improves durability for direct photo emulsions.